The holidays are a time of happiness and merriment for most people. But did you know that they are also a major cause of stress for some people? While many find themselves gathering with family and friends, still others are spending the holidays alone, or are facing hard financial times. However, finding ways to cope with stress on holiday isn’t as difficult as you may think. Many people find themselves focusing on their problems during what should be a happy time. These problems can include anything from not being in a relationship to the holiday blues. The holiday blues, as many people know it, come from setting unrealistic expectations about how the holidays will turn out. In your mind, you may build it up to be wonderful and filled with laughter, but unfortunately an argument breaks out. This can lead to feelings of disappointment. However, finding ways to reduce stress on holiday are only as far down as a few paragraphs. 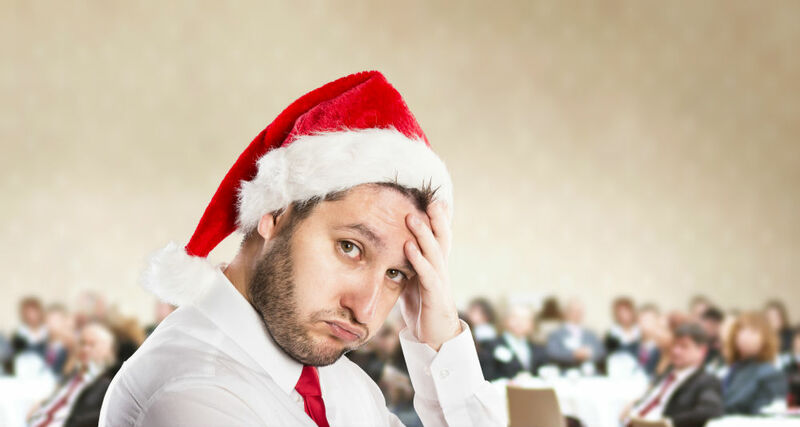 Keep reading to find ways to manage holiday stress. Set a budget. A lot of people find themselves going into debt during the holidays. This is a major cause of stress. Spending too much causes unnecessary financial pressure that can follow you through the holidays and into the New Year. To avoid this problem, set aside the maximum amount of money you want to spend on presents this year. Stick to this figure, and have the funds available. Try not to rely too much on credit cards, as this incurs extra debt. Setting a budget will help you feel more relaxed about your holiday spending. And it will get you prepared for a prosperous and financially sound New Year! Mingle with relatives. A lot of people find themselves spending the holidays with in-laws. If you don’t get along with your in-laws, it can be difficult to feel like you fit in. Rather than keeping a silent vigil, find things to talk about. Bring up subjects that interest others. But don’t brag too much about yourself. As the holidays go by, you will find that people approach you more often. And you will enjoy yourself a lot more! Bring a dish. Pitching in with preparing food can significantly reduce your stress on holiday. Not to mention it helps take stress off of other people. Try preparing a dish at home, and bring it with you. Make the dish at your in-laws’ place. Offer them a sample. This gets other people involved, and will make them more eager to talk with you. Don’t expect perfection. A lot of people pressure themselves to create a perfect holiday for other people. This, according to experts, creates unnecessary stress, and can make you feel bad if things don’t turn out exactly as planned. Tell yourself that you don’t need to be perfect. Everyone makes mistakes, and things will not always go exactly as planned. Realize that you can’t do everything. Also, don’t be afraid to ask for help. People like to get involved. Realize that you can only do so much. That way, you don’t expect too much of yourself, and you will be able to enjoy yourself that much more! Simplify your decorating. It’s easy to put up a lot of decorations for the holidays. When you have to take them down, you can feel overwhelmed and perhaps let down. This can lead to feelings of apathy about any upcoming holidays. Instead of going overboard with trimmings, keep decorations to a minimum. Put up only what you can manage. This will make it easier for you to enjoy the holidays and be merry! Stress during the holidays can put a damper on your holiday, but getting involved and taking a positive approach to the holidays can do wonders for lowering your stress levels. Taking these stress management techniques to your next holiday gathering can greatly reduce the stress on holiday you would normally feel. And you will be a lot happier.